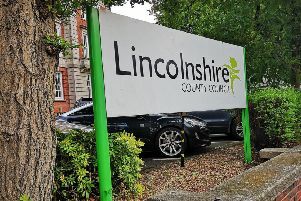 A campaign has been launched by councils across Lincolnshire in an attempt to crack down on housing benefit fraud and error. A Parliamentary report which looked at the annual expenditure of housing benefit in the UK found that most councils were affected by claimant error or deliberate fraud. In Lincolnshire the annual spend on Housing Benefit is £160,000,000, for around 52,500 households. Lincolnshire authorities have joined forces and are working together to support the Government’s bid to cut the cost of fraud and error. All Lincolnshire authorities will be checking their residents’ housing benefit claims. As a priority, the initial focus will be on those considered a high risk of not having reported changes which means they may have received too much housing benefit which will have to be paid back. Whilst most claims will be genuine and correct, the review is essential in order to find those that are wrong. Some residents may have simply forgotten to let their council know that they have had a change in their circumstances, such as children moving out or leaving full-time education, getting a job or a pay increase. Changes such as these should be brought to the attention of their district or borough council as soon as possible to avoid claiming the wrong amount of benefit. Now is the time to notify your council of a change before fraud investigators take more serious action, which can include prosecution. SKDC’s benefits manager Heather Green said: “Anyone who claims housing benefit and has had a change in their circumstances that might affect the amount of benefit they receive should contact their local district or borough council immediately. Most residents will be claiming the correct amount, and therefore do not need to worry.